ALL TOURNAMENT ANNOUNCEMENTS LEADING UP TO AND THROUGH THE EVENT, WILL BE POSTED ON THIS PAGE. Separate A, B & C level competition for the single age levels of U8 thru U15 and for the dual ages of U16 and U18 where registration permits. Three Game Minimum in either a round-robin bracket or play-off format. Bracket sizes of 3, 4, 5, 6, 8, 10, & 12 will be formed where registratiojn permits. Play-off and Championship games are assigned where necessary. ALL GAMES WILL CONSIST OF TWO 25 MINUTE HALVES. Team Trophy and Individual Awards will be presented to the 1st and 2nd Place teams in all age level competition brackets. There is an organization multiple team discount of $25.00 per team when registering five (5) or more teams at the same time on the same check. 1. 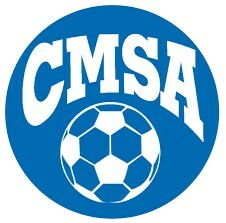 4v4 teams register and pay for all CMSA tournaments through the CMSA/Stone Alley web site only. Click HERE to fill out the CMSA on-line tournament form and make your payment. 1. Go to gotsoccer.com; complete and submit the Got Soccer tournament form which will reserve your teams' entry into the event pending our receipt of your payments. 2. Click HERE to fill out the CMSA on-line tournament form and payment instructions. All teams must pay by credit or debit card through Stone Alley. Once the above has been completed; your acceptance into the event will be noted on the Got Soccer site. Your registration is not finalized until payment in full has been received by the CMSA office prior to the registration deadline. Teams challenged during the event and found not to have a roster on file will be disqualified from play. 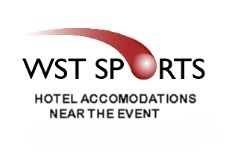 ALL FINAL COMPETITION PLACEMENT IS AT THE SOLE DISCRETION OF THE TOURNAMENT COMMITTEE. DEPENDING ON THE FINAL REGISTRATION NUMBERS; ADDITIONAL LEVELS OF A/B, & B/C MAY BE ADDED. This is an open CMSA/USSF event for SAY & US Club affiliated teams. If your team is affiliated through any other USYSA affiliate, you will need a "Permission to Travel" form from your state association with your application.